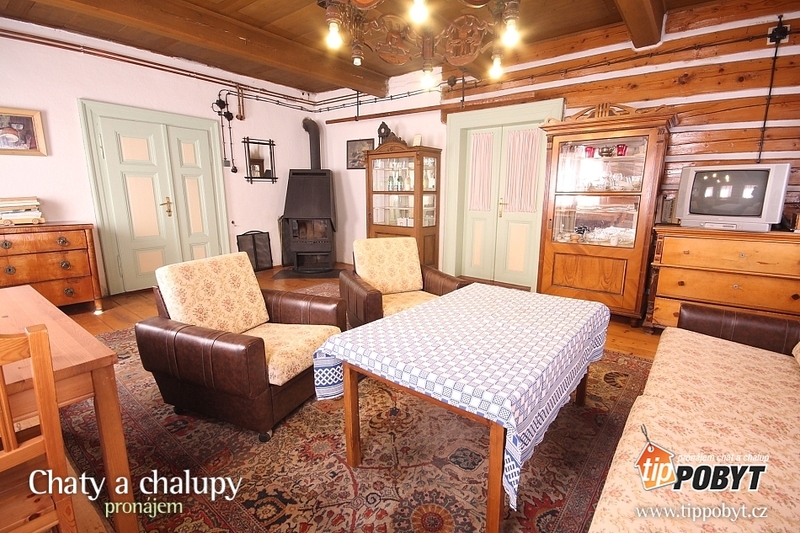 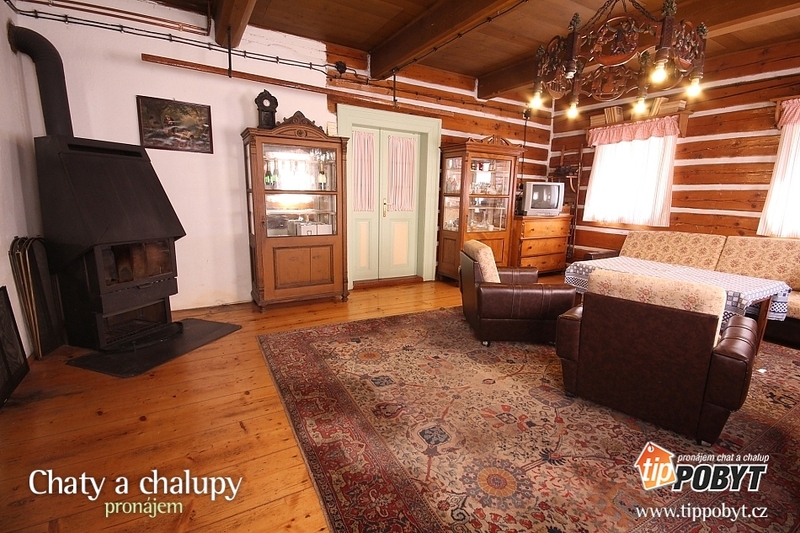 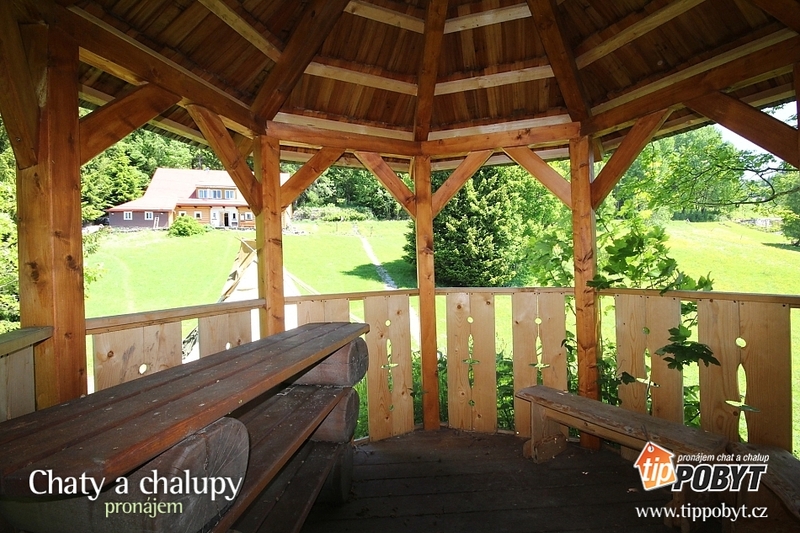 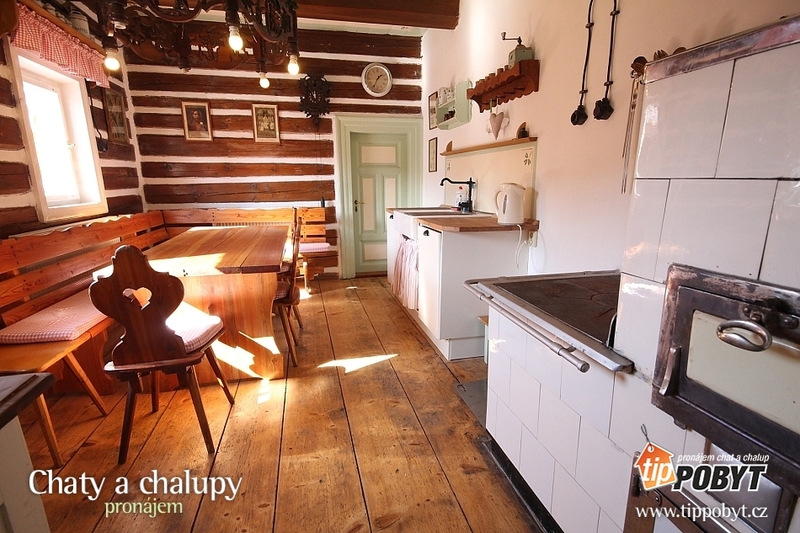 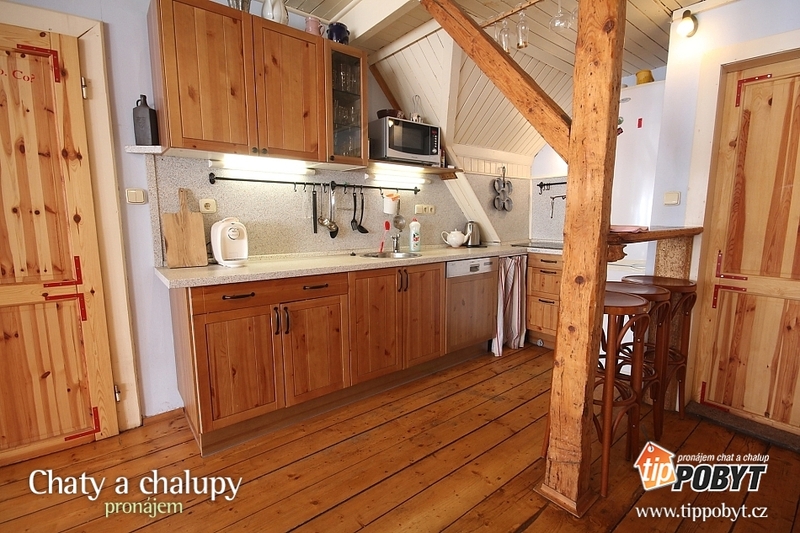 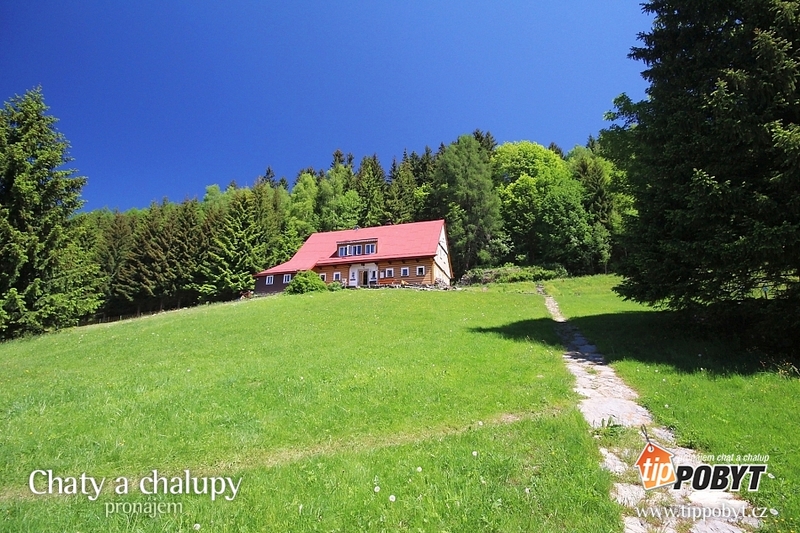 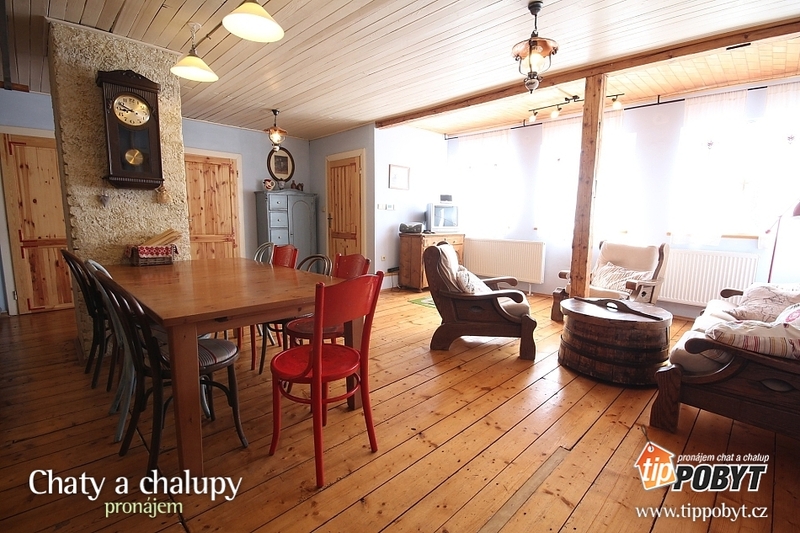 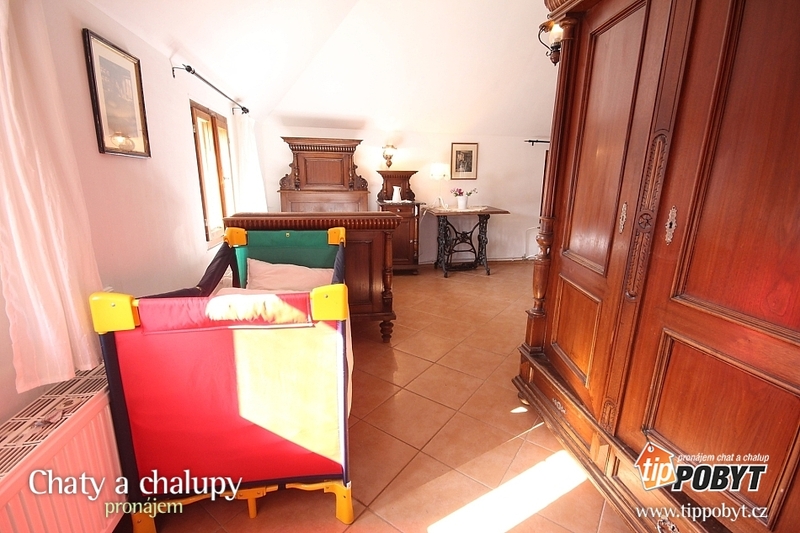 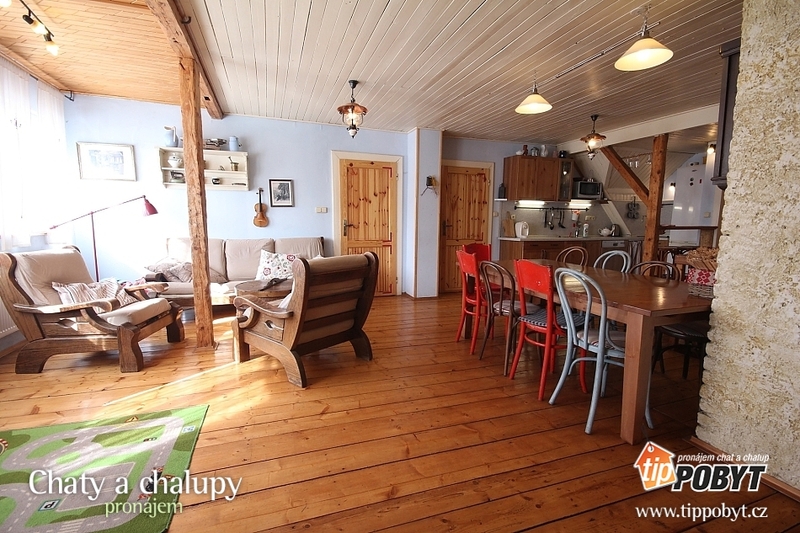 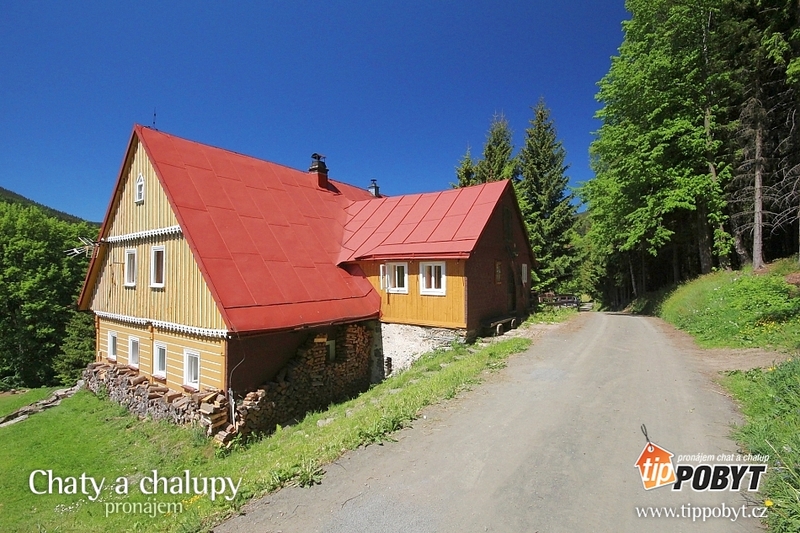 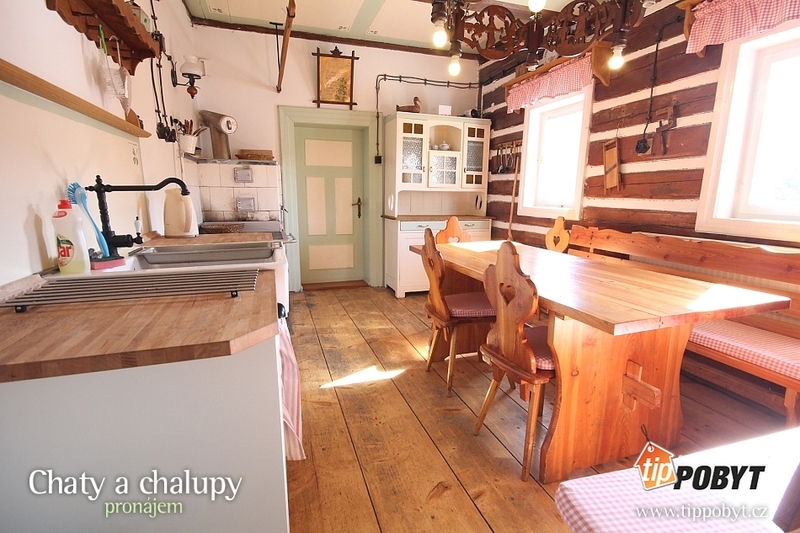 Stylish comfortable cottage with sauna in a beautiful location near the forest near the village Temný Důl, locality Horní Maršov and Dolní Lysečiny, district Trutnov. 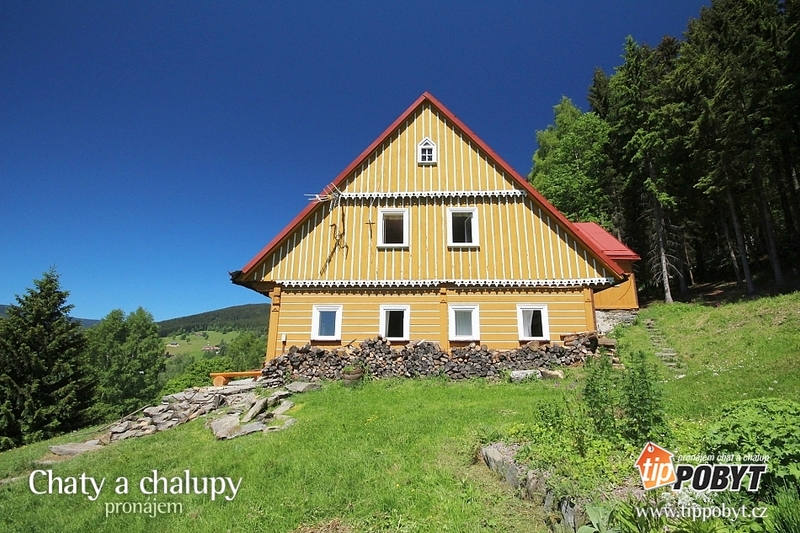 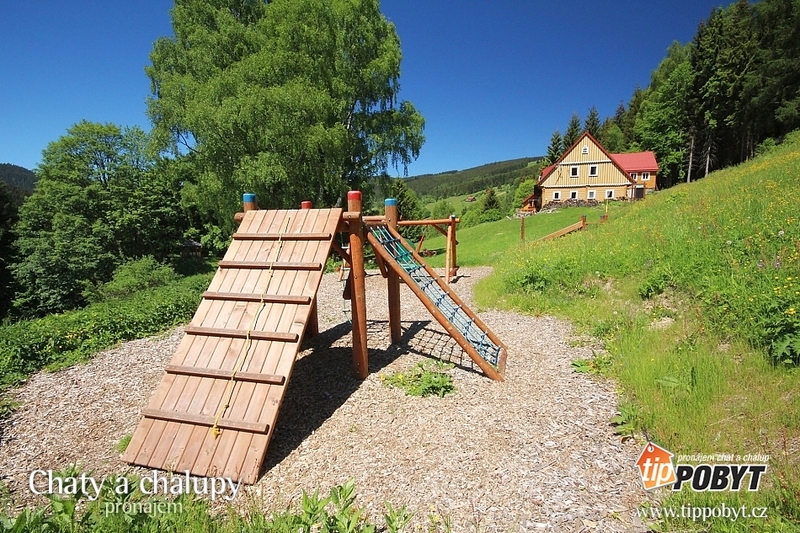 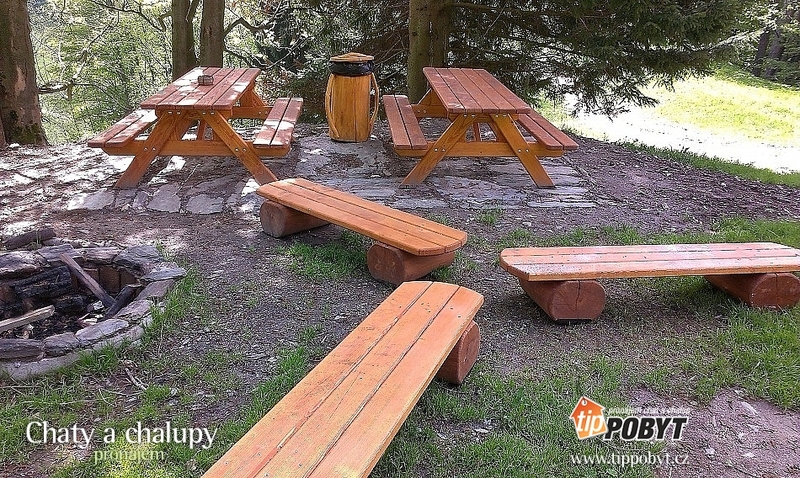 Roubenka is ideally located for mountain hiking, cycling, hiking to the summit of Sněžka, but also a stay at a meadow cottage with a seating area next to a playground or a fireplace. 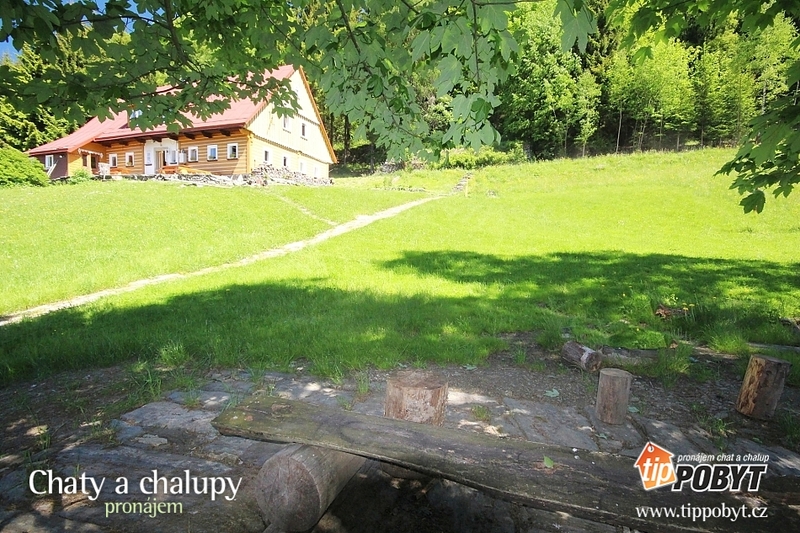 Temný Důl village is 5 km away, Janske Lazne 12 km. 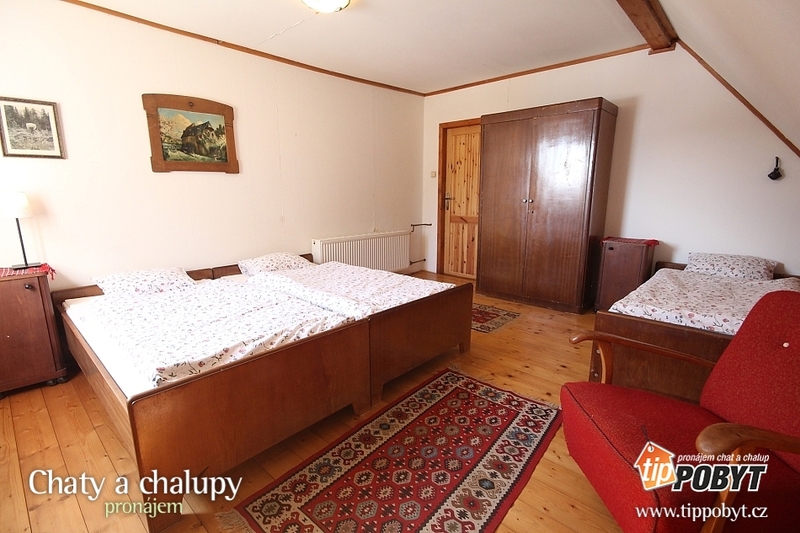 Refundable deposit 5000 CZK. 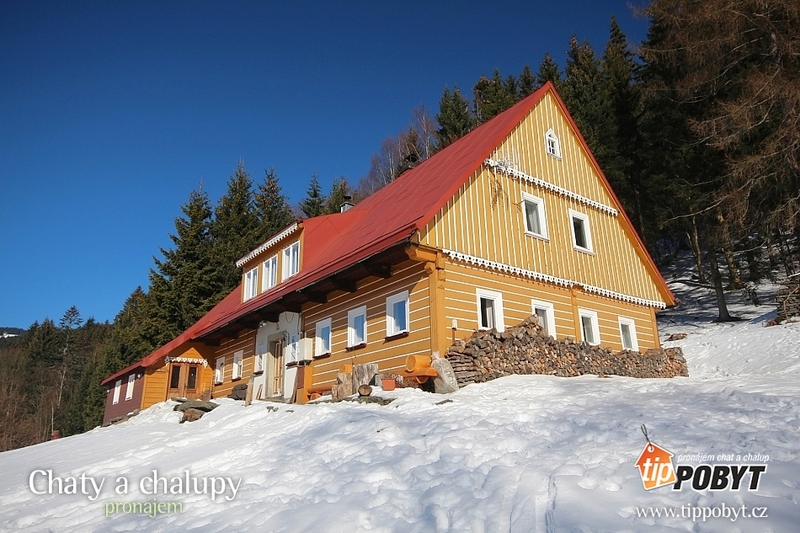 Payment of energy by flat rate (summer and off season 300 CZK / night, winter 500 CZK / night). 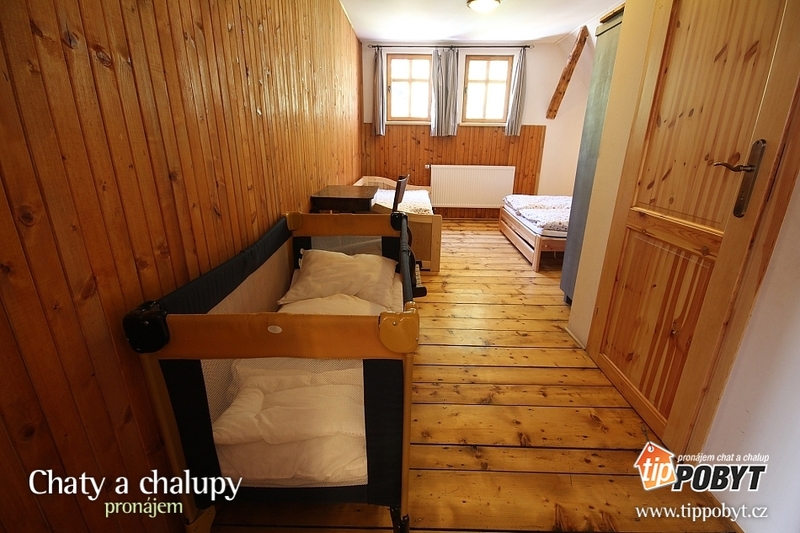 Bedding is provided in the price of weekly stays, for shorter stays it is necessary to own or for a fee of 80 CZK / bed. 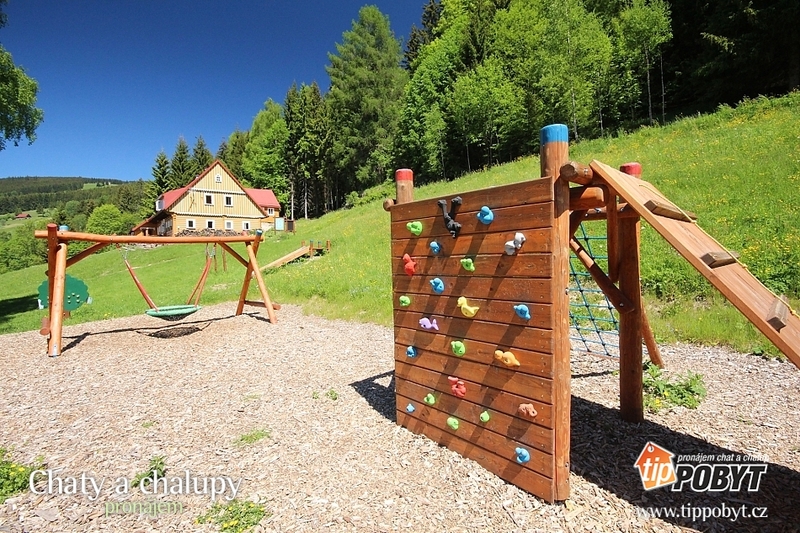 Recreational fee 15 Kč / person / night. 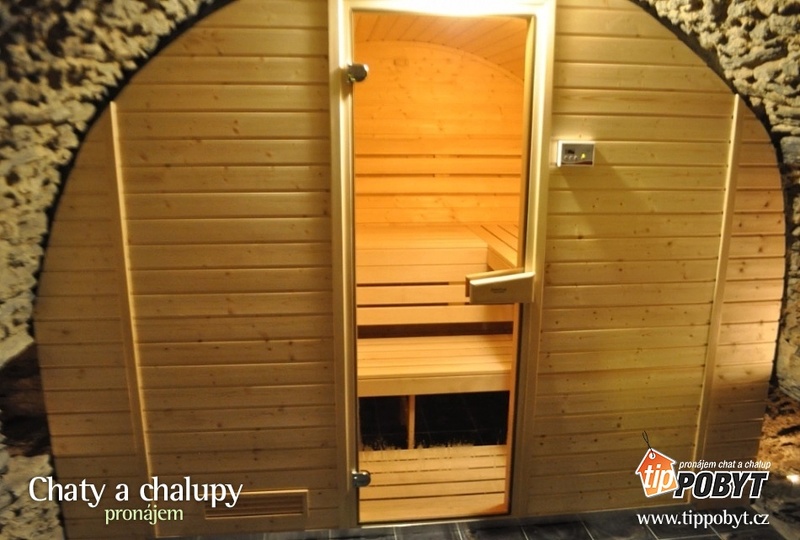 In case of interest sauna can be used for a fee of 300 CZK / 3 hours, sauna bed / towel 20 CZK / piece. 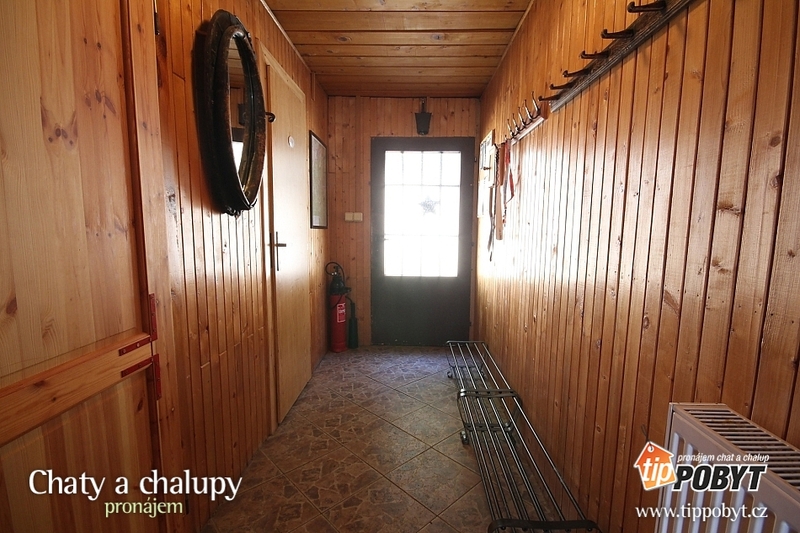 Fee for unsorted waste 100 CZK / 100 liter bag. 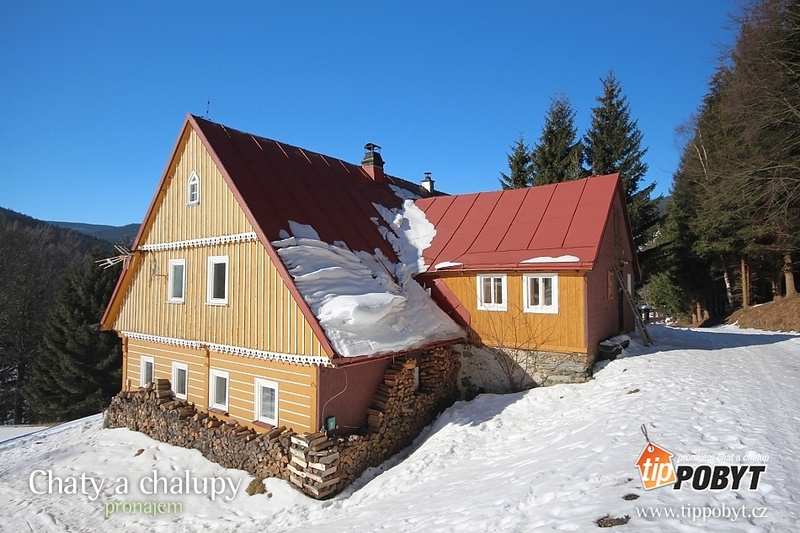 Summer and winter week stays. 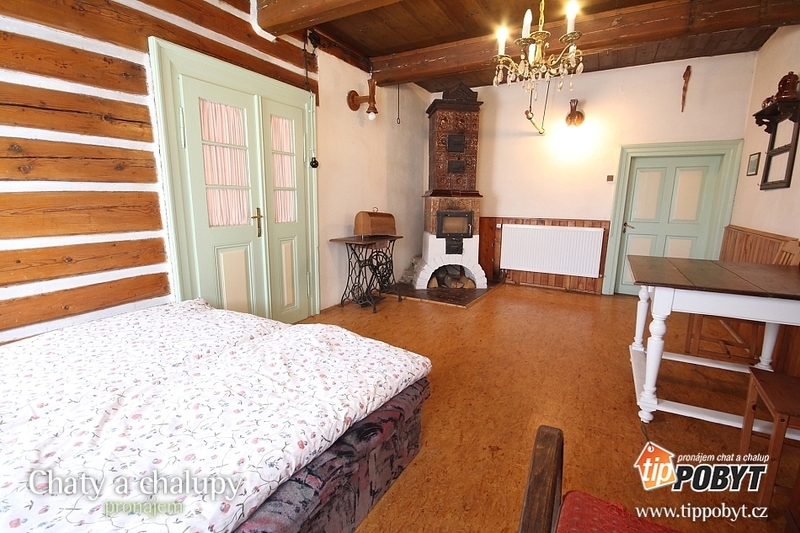 Off season min. 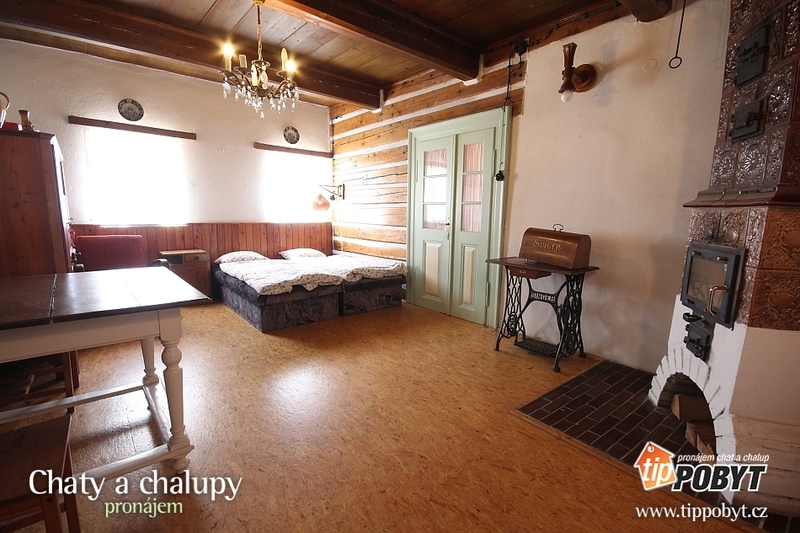 payment for 3 nights or weekend. 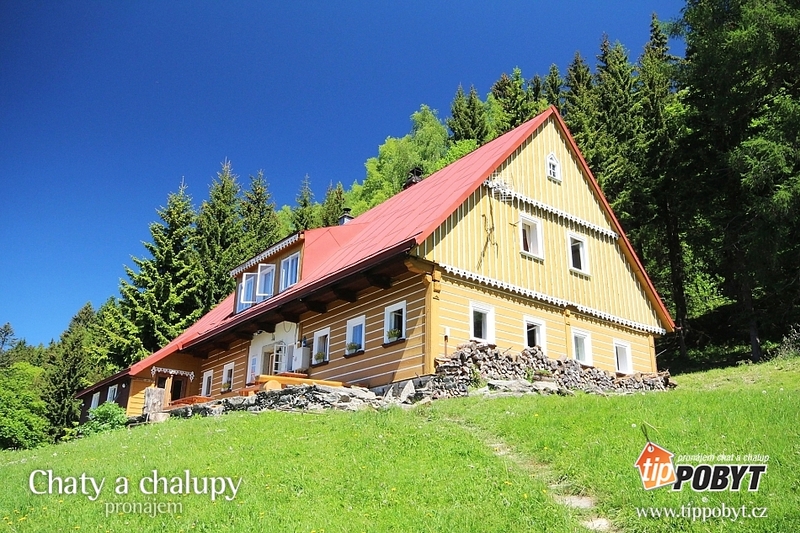 Stylish Mountain ROUBENKA with beautiful view! 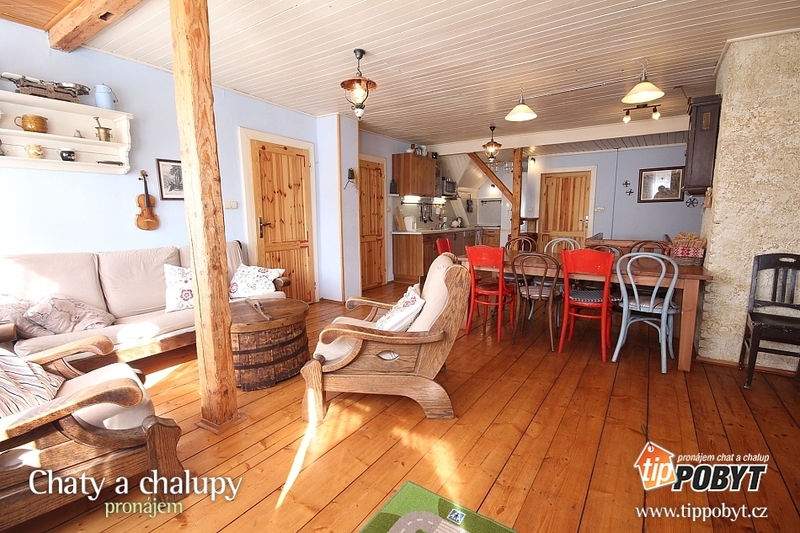 On the upper floor of a stylish mountain cottage is a large lounge with fully equipped kitchen (hob, large fridge with freezer, microwave, dishwasher, kettle, dishwasher, toaster) with large table, bar counter and sofa. 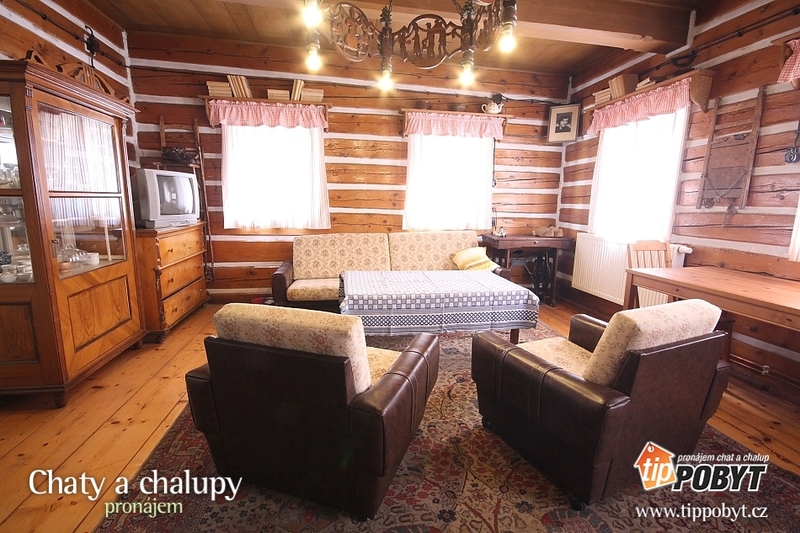 There are 5 bedrooms in the living room perimeter: 2x 4-bedded bedroom (always double bed and 1 single bed + 1 pull-out bed, one bed in bed), 4-bed room (double bed, 2 extra beds for folding sofa set and baby bed), 3-bedded bedroom (3 single beds) and 2-bedded bedroom (double bed). 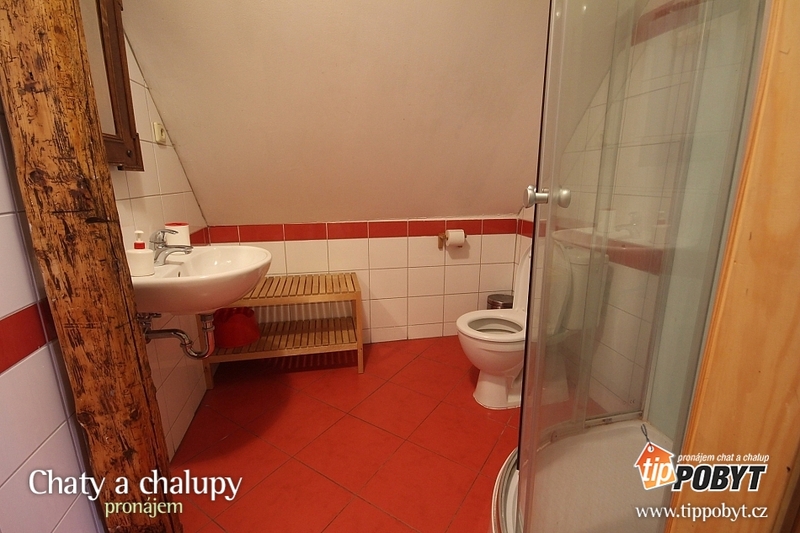 All of these bedrooms have their own bathroom including a bathroom with shower and toilet. 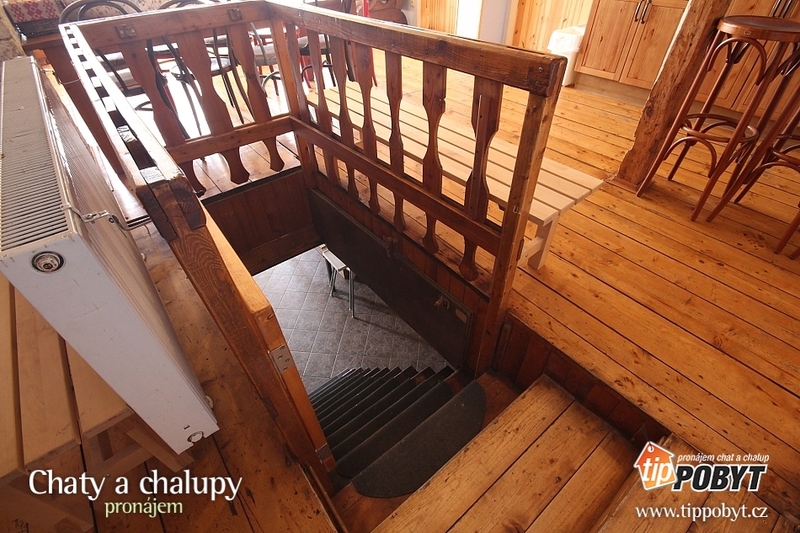 On the ground floor there is a living room, a kitchen with a tiled stove, and 2 bedrooms: a 2-bed bedroom (double bed) and a 4-bed bedroom (double bed and 2 single beds) with a cot. 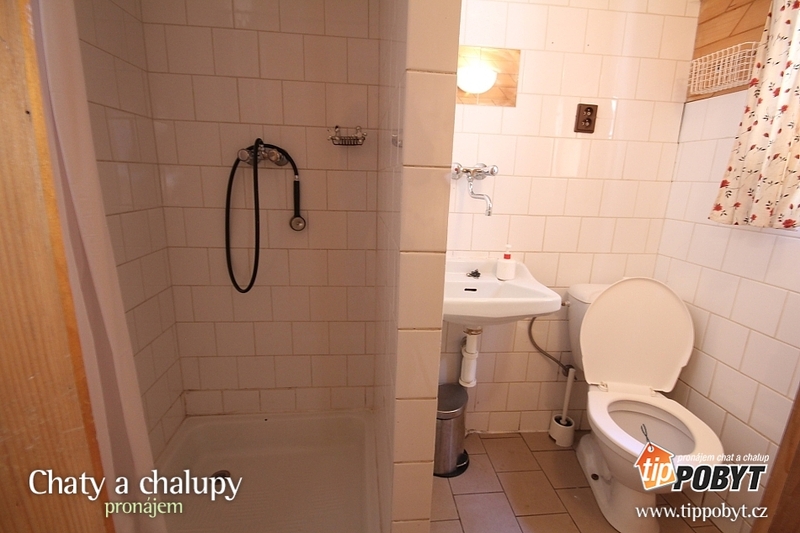 On the ground floor there is another bathroom with bathtub and toilet. 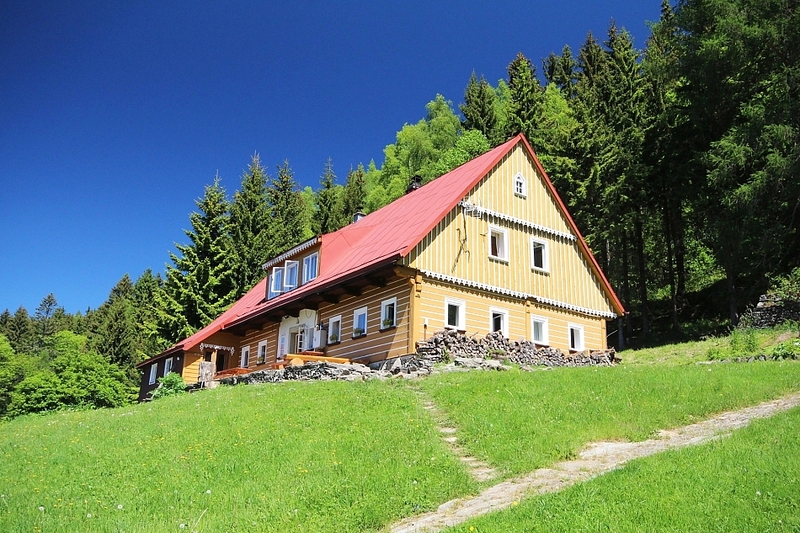 Heating of the entire building is ensured by a central automatic boiler for solid fuels. 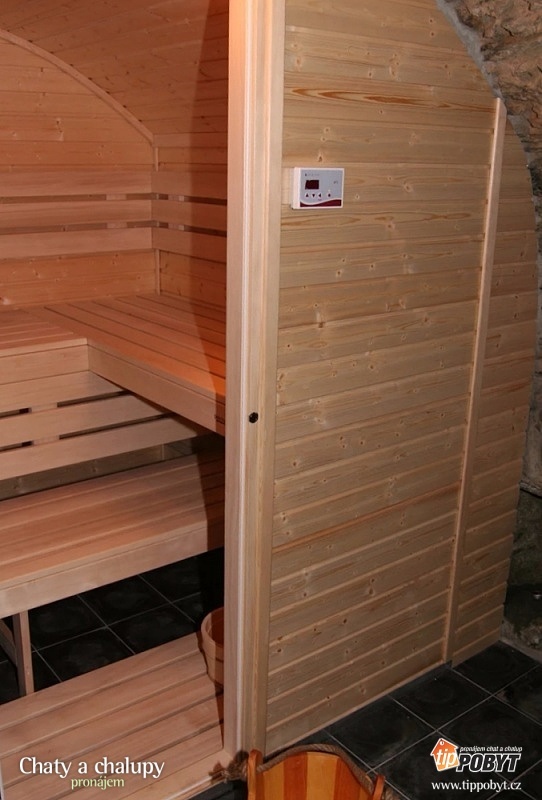 In the building a sauna is available. 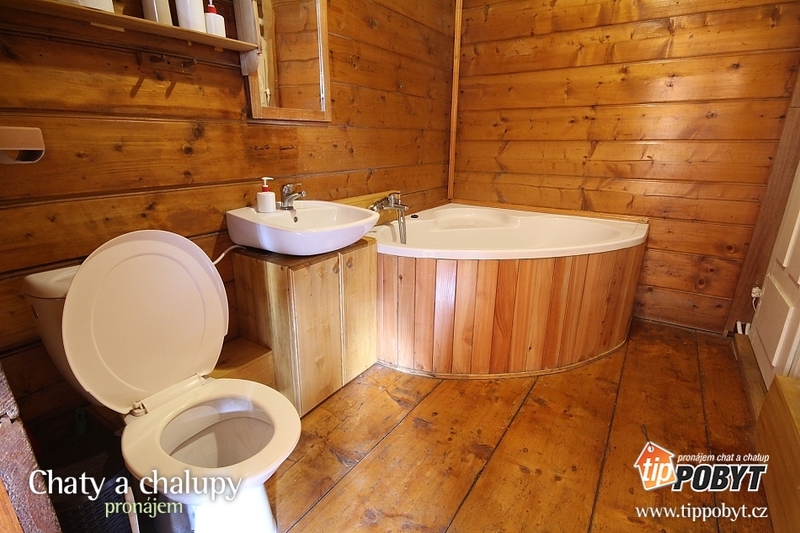 The cottage has a fireplace with seating, garden furniture, original stone portico, playground with experience elements and sloping terrain with sunbathing suitable for tobogganing or bobbing. 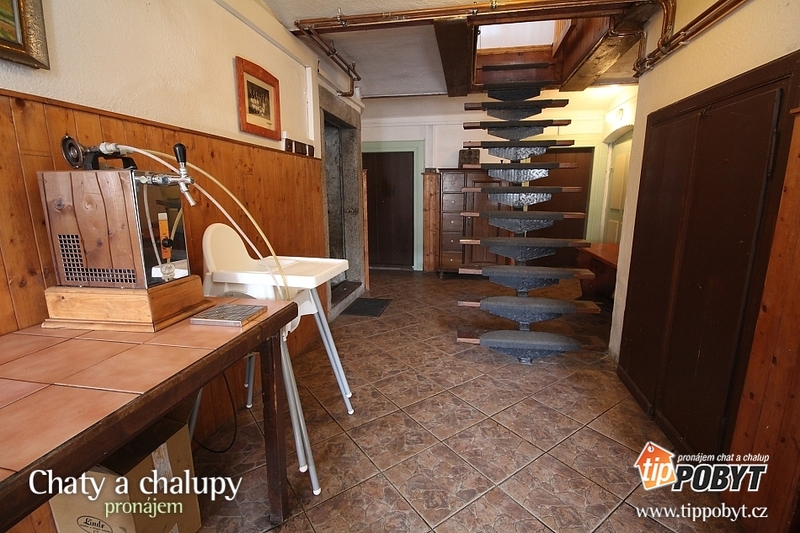 A free beer beer with cooling and a large grill is available to guests. 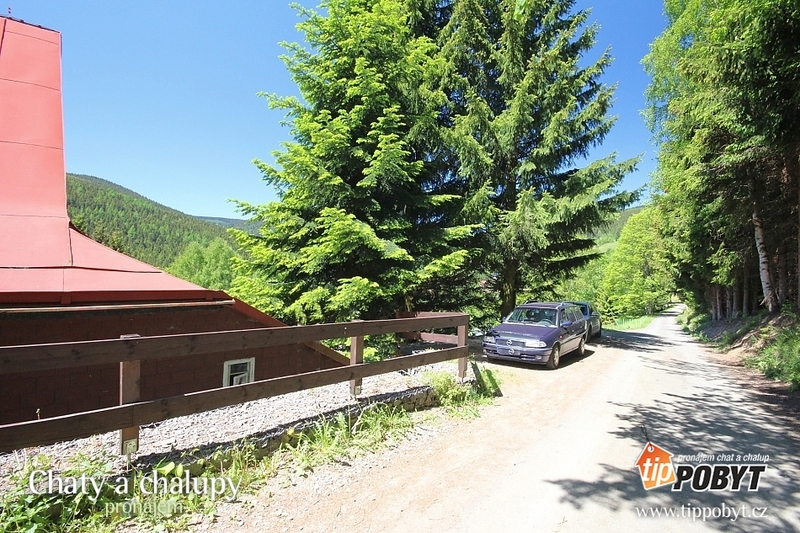 Parking in the summer season for up to 4 cars by the house, in winter parking in the central car park 600m from the building.